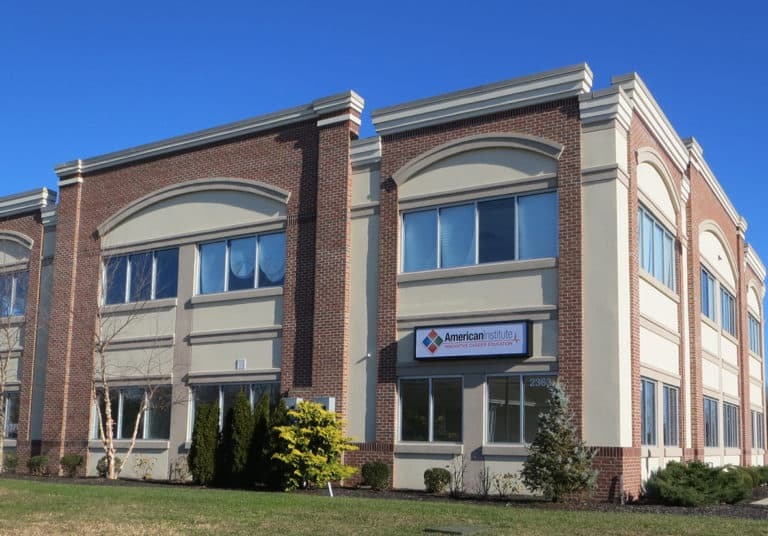 American Institute – Toms River is located at 2363 Lakewood Road, near the intersection of Rt 9 and Rt 70, with convenient public transportation and administrative offices, classrooms, and restroom facilities that are handicap accessible. The entire campus is Wi-Fi accessible. American Institute’s hybrid programs are a combination of online distance education coursework and on-campus, hands-on lab training. This hybrid approach to learning gives students the flexibility to manage today’s busy schedules through distance education courses while still getting the benefits of hands-on learning on the campus as they develop relationships with their instructors and peers. The Massage Therapy program is not a hybrid program, however; the other programs are all offered as hybrid programs. The Student Catalog as well as other important Student Consumer Information is found on the Consumer Info page in the General Campus Information section under the Toms River, NJ campus.